The fourth season of The Man From U.N.C.L.E. would take a serious turn compared with the campy third season. The new tone was reflected in one of the fourth season’s early scripts. The Deadly Quest Affair was written in May 1967. Some pages of the script by Robert E. Thompson are dated as early as May 2. Other pages are dated May 16, with some pages revised on June 5. However, the episode wouldn’t be seen until Oct. 30, the eighth episode actually broadcast. Thompson had written one first-season episode, The Green Opal Affair. The new day-to-day producer, Anthony Spinner, sought to bring back as many first-season scribes as possible. Spinner, in fact, was one of them, penning The Secret Sceptre Affair. The copy of the script the blog has is pretty close to the episode as aired. But, as often is the case, there are some interesting differences. Originally, the villain was named Viktor Karnak. Spinner or someone else involved with the production may have felt the name was too close to the Johnny Carson character Carnac the Magnificent. He’d be renamed Karmak. Most of the pages of the script the blog retain the Karnak name. Karnak/Karmak had tangled with U.N.C.L.E. 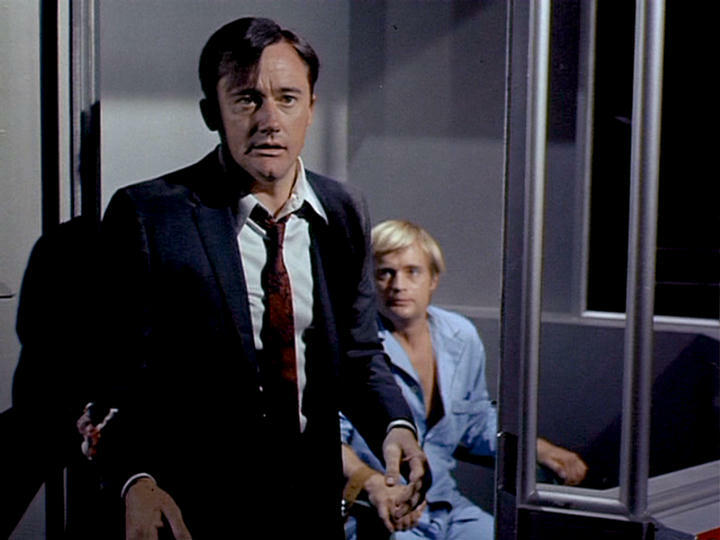 agents Solo and Kuryakin (Robert Vaughn and David McCallum) two years before. It had appeared the villain perished (we’re told the agents had only recovered bones and a few remains). However, Karnak/Karmak really hadn’t died and is back to get even. The production team ended up casting brown-haired actor Darren McGavin in role, though he’d be made up with a scar. In the pre-titles sequence, Illya is in the hospital, recovering from a concussion from a recent assignment. Solo is visiting and is “in black tie.” As filmed, he’d be wearing a suit, rather than a tuxedo. Two henchmen of Karnak/Karmak kidnap Illya after Solo departs. At U.N.C.L.E.’s New York headquarters, bossman Alexander Waverly (Leo G. Carroll) has called Solo in. The U.N.C.L.E. chief informs Solo that Karnak/Karmak is alive. The script describes how the villain has delivered his message. There is a shrouded, box-like object in f.g. Waverly and Solo stand in front of it. Waverly reaches out and raises the covering on the unseen side of the shrouded object. We are aware of a very slight reaction of surprise from Solo. Eventually, Solo figures out, without informing his boss, that Karnak/Karmak is hiding out in a 10-block section of Manhattan that’s been condemned for re-development. We get a variation on the plot of The Most Dangerous Game, with Karnak/Karmak hunting Solo. Before the hunt begins, Solo meets up with the episode’s “innocent,” Shiela (Marlyn Mason), a “starving artist” who’s the daughter of a rich man. Now, she has to accompany Solo during the hunt. The only weapons Solo has are a hammer and chisel Shiela used to make sculptures. The hunt begins at midnight. Solo has to find Illya by 6 a.m. or he dies. The Russian U.N.C.L.E. agent is in a tight spot. He’s in a gas chamber that will dispense cyanide gas at the appointed hour. A claw rips the chisel from Solo’s hand. He twists free of the animal…retrieves the chisel…turns back in time to meet another lunge from the cheetah — striking home this time with the chisel. The scene was staged more elaborately by director Alf Kjellin. Of course, there was no way a live cheetah was going to get close to Robert Vaughn. So we have shots of the actor wrestling with a fake cheetah. Still, the scene comes across more dramatically than what was on the page. During the fight, Shiela followed Karnak/Karmak to Illya and the gas chamber. The villain momentarily get the drop on the U.N.C.L.E. agents. With help from Shiela, the agents get the upper hand. Of course, it’s now 6 a.m. and the poison gas fills the chamber. At the end, we’re back at the hospital, Illya is in black tie and Solo (him arm chewed on by the cheetah) is a patient. “Illya waves jauntily and leaves” while a nurse tries taking Solo’s temperature. Fried, however, got a second chance. 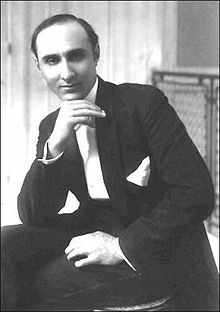 He composed a score for The Test Tube Killer Affair that very much matched the more-serious tone of the fourth season. It would be Fried’s final work for the series, although he’d be back for the 1983 TV movie The Return of the Man From U.N.C.L.E. Originally published Dec. 28, 2012. Adjusted to note it’s now the 50th anniversary along with a few other tweaks. 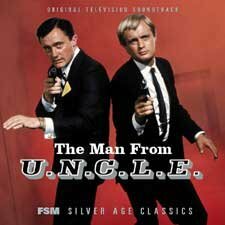 Jan. 15 marks the 50th anniversary of the end of The Man From U.N.C.L.E. It was also a sign that 1960s spymania was drawing to a close. Ratings for U.N.C.L.E. faltered badly in the fall of 1967, where it aired on Monday nights. 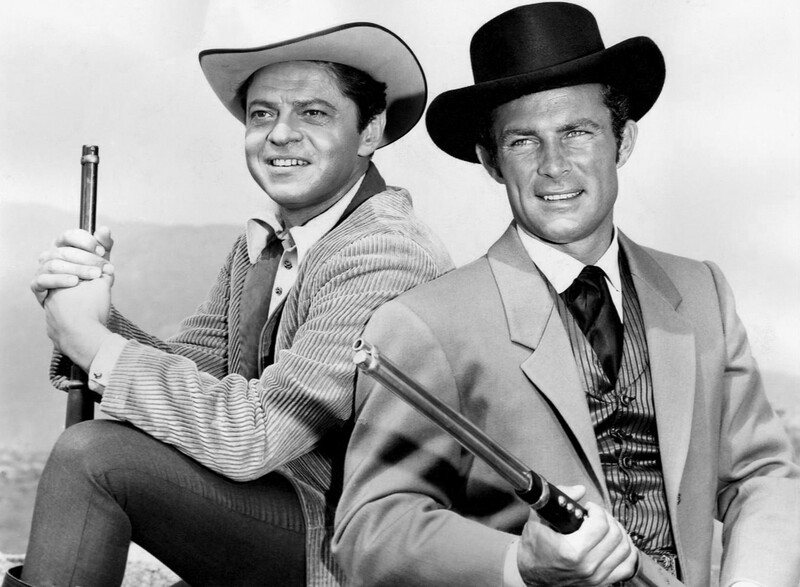 It was up against Gunsmoke on CBS — a show that itself had been canceled briefly during the spring of ’67 but got a reprieve thanks to CBS chief William Paley. 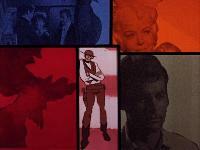 Instead of oblivion, Gunsmoke was moved from Saturday to Monday. Earlier, Norman Felton, U.N.C.L.E.’s executive producer, decided some retooling was in order for the show’s fourth season. He brought in Anthony Spinner, who often wrote for Quinn Martin-produced shows, as producer. Spinner had also written a first-season U.N.C.L.E. episode and summoned a couple of first-season writers, Jack Turley and Robert E. Thompson, to do some scripts. Also in the fold was Dean Hargrove, who supplied two first-season scripts but had his biggest impact in the second, when U.N.C.L.E. had its best ratings. Hargrove was off doing other things during the third season, although he did one of the best scripts for The Girl From U.N.C.L.E. 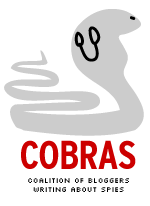 during 1966-67. Spinner wanted a more serious take on the show compared with the previous season, which included a dancing ape. Hargrove, adept at weaving (relatively subtle) humor into his stories, chafed under Spinner. The producer instructed his writers that U.N.C.L.E. should be closer to James Bond than Get Smart. The more serious take also extended to the show’s music, as documented in liner notes by journalist Jon Burlingame for U.N.C.L.E. soundstracks released between 2004 and 2007 and the FOR YOUR EYES ONLY U.N.C.L.E. TIMELINE. 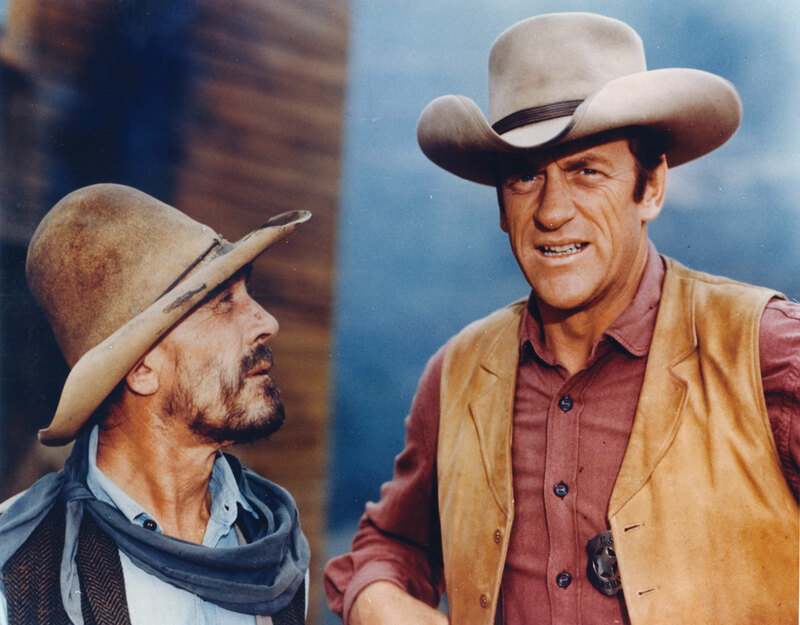 Matt Dillon (James Arness), right, and sidekick Festus (Ken Curtis) got new life at U.N.C.L.E.’s expense. 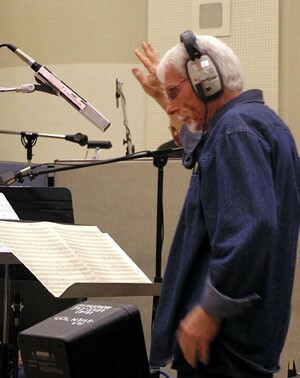 Gerald Fried, the show’s most frequent composer, had a score rejected. Also jettisoned was a new Fried arrangement of Jerry Goldsmith’s theme music. 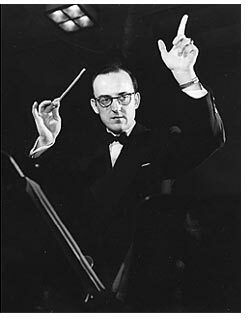 A more serious-sounding one was arranged by Robert Armbruster, the music director of Metro-Goldwyn-Mayer. Most of the fourth season’s scores would be composed by Richard Shores. 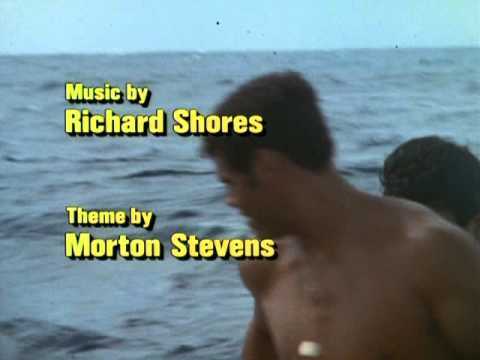 Fried did one fourth-season score, which sounded similar to the more serious style of Shores. Napoleon Solo and Illya Kuryakin, however, weren’t a match for a resurgent Matt Dillon on CBS. NBC canceled U.N.C.L.E. A final two-part story, The Seven Wonders of the World Affair, aired Jan. 8 and 15, 1968..
U.N.C.L.E. wouldn’t be the first spy casualty. NBC canceled I Spy, with its last new episode appearing April 15, 1968. 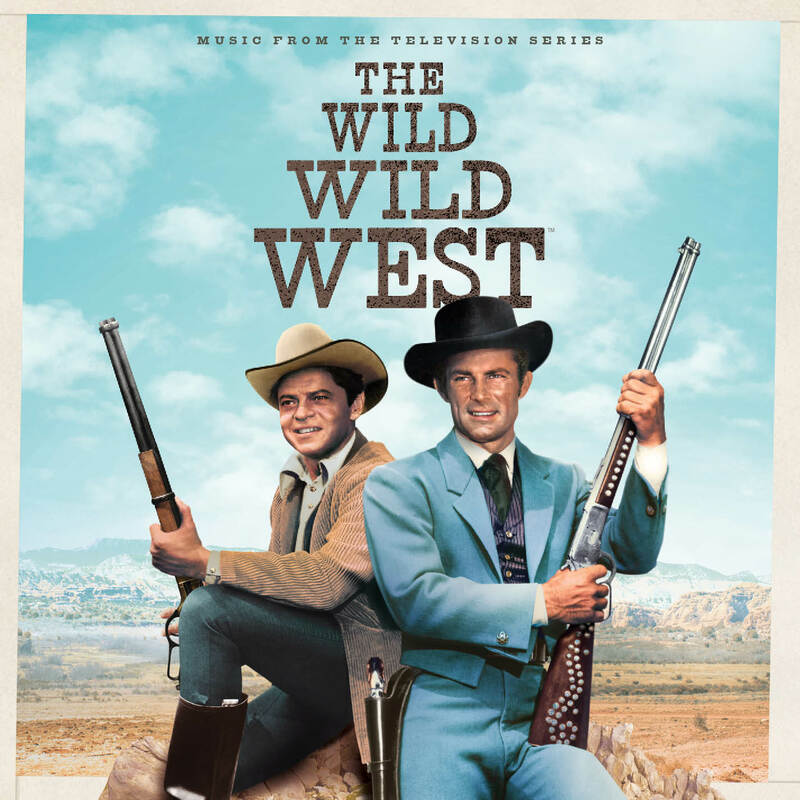 Within 18 months of U.N.C.L.E.’s demise, The Wild, Wild West was canceled by CBS (its final new episode aired aired April 4, 1969 although CBS did show fourth-season reruns in the summer of 1970) and the last episode of The Avengers was produced, appearing in the U.S. on April 21, 1969. Nor were spy movies exempt. Dean Martin’s last Matt Helm movie, The Wrecking Crew, debuted in U.S. theaters in late 1968. Despite a promise in the end titles that Helm would be back in The Ravagers, the film series was done. Even the James Bond series, the engine of the ’60s spy craze, was having a crisis in early 1968. Star Sean Connery was gone and producers Albert R. Broccoli and Harry Saltzman pondered their next move. James Bond would return but things weren’t quite the same. RE-POST: The 45th anniversary of the end of U.N.C.L.E. Originally published Dec. 28. Re-posted for the actual anniversary. 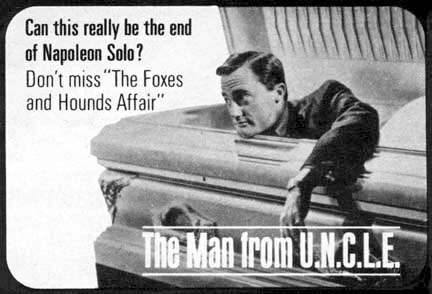 Jan. 15 marks the 45th anniversary of the end of The Man From U.N.C.L.E. It was also the beginning of the end for 1960s spymania. Spinner had also written a first-season U.N.C.L.E. episode and summoned a couple of first-season writers, Jack Turley and Robert E. Thompson, to do some scripts. Also in the fold was Dean Hargrove, who supplied two first-season scripts but had his biggest impact in the second, when U.N.C.L.E. had its best ratings. Hargrove was off doing other things during the third season, although he did one of the best scripts for The Girl From U.N.C.L.E. during 1966-67. Hargrove, however, quickly learned the Spinner-produced U.N.C.L.E. was different. In a 2007 interview on the U.N.C.L.E. DVD set, Hargrove said Spinner was of “the Quinn Martin school of melodrama.” Spinner wanted a more serious take on the show compared with the previous season, which included a dancing ape. Hargrove, adept at weaving (relatively subtle) humor into his stories, chafed under Spinner. The producer instructed his writers that U.N.C.L.E. should be closer to James Bond than Get Smart. Nor were spy movies exempt. Dean Martin’s last Matt Helm movie, The Wrecking Crew, debuted in U.S. theaters in late 1968. Despite a promise in the end titles that Helm would be back in The Ravagers, the film series was done. Even the James Bond series, the engine of the ’60s spy craze, was having a crisis in early 1968. Star Sean Connery was gone and producers Albert R. Broccoli and Harry Saltzman pondered their next move. James Bond would return but things weren’t quite the same.